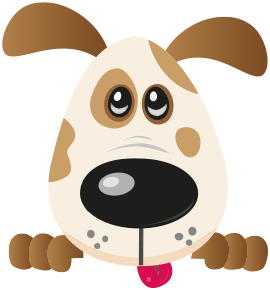 Our highly skilled and knowledgeable team want the best for your dog and even those that can be more challenging are given support to provide a service that suits you. Following a successful career in advertising and marketing, I took a risk and quit my job to provide Cheshire with the first licenced Doggie Daycare Centre in the council’s area. Four Paws opened in July 2009 and has grown to provide a range of pet services including doggie daycare, dog and cat grooming, pet taxi, dog groomer training and overnight kennels. I am lucky to have dogs all of my life including labradors, rottweilers and mongrels! My family are currently owned by a Bull Mastiff crossbreed called Waffle who joined us from the Dogs Trust. We think Waffle is about 9 years old but it is hard to tell as she behaves like a puppy at times! I also have a 13 year old cat called Macavity, he is a tabby and white short haired moggy who likes to get several dinners a day from different neighbours houses! We employ over 25 people across the Four Paws branded businesses and operate from several sites. I am proud that the business is growing and others are joining us as part of our expansion plans. I am very proud of all we have achieved at Four Paws. Following a successful career of over 15 years in HR, Quality Management and Training I decided to follow my childhood passion of working with dogs. I completed my initial dog grooming course when I was in my early twenties and continued to develop my skills and learn about dog behaviour and psychology. My passion for grooming grew and I took the big leap from the Corporate world to join Four Paws in January 2016 (I have never looked back). My role combines both my passions of training students and grooming dogs everyday all day…what’s there not to love. I have 2 furbabies, Alfie is an 9 year black Labrador and Benji is a Labradoodle (yes I am one of those owners) but he makes a good subject and discussion in the school!! 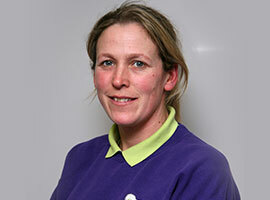 Annette has always enjoyed an outdoor lifestyle with a passion for both dogs and horses. After leaving college she worked as Head Girl at an Equine Eventing Livery Stable for 10 years and then moved onto an indoor job working in a local saddlery but she missed being out in the fresh air! 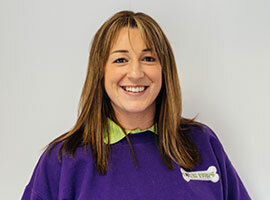 Annette joined Four Paws in 2010 as the General Manager and she says it’s the best thing she ever did. Her love of animals and amazing organisational skills are perfect for the diversity of her role. 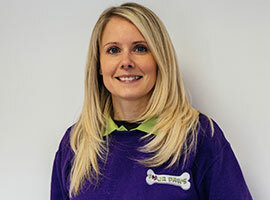 Her strong interest in canine behaviour has developed further since being at Four Paws and she now holds a Diploma in Canine Behaviour and Psychology and Veterinary Support Assistant Diploma to go with her other animal care qualifications. She has three dogs of her own, Pickle who is a Collie cross, Bonnie who is a Collie and Ruby who is a Springer Spaniel. Pickle came from Cheshire Dogs Home and both Bonnie and Ruby were from Dogs Trust Merseyside. They are three very different characters but have all proven that every dog deserves a chance and they keep her thoroughly entertained.